Looking for somewhere to learn and play ukulele? 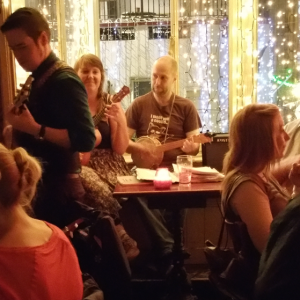 Ukulele Tuesday is an open group suitable for beginners and experts alike – we have a weekly session upstairs in the Stag’s Head (Dame Lane, Dublin 2). Come along and join the fun – every Tuesday from 8pm until late.